Did you make a New Year’s Resolution in 2016? There’s still hope– maybe we can help you keep it! 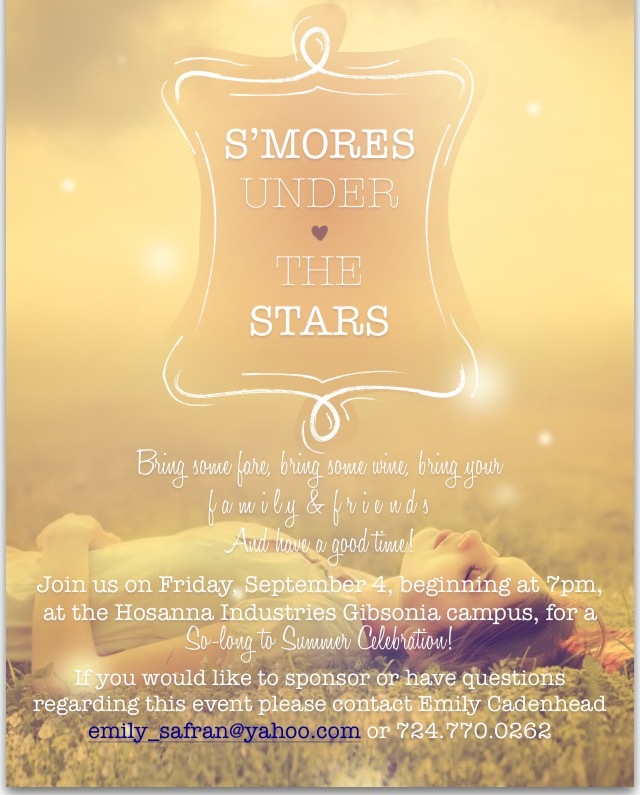 Contact Emily Cadenhead if you have any questions, or would like to RSVP. Read more about our new campus in this note from Hosanna’s founder and director. Check out the executive director’s blog post about our new property here.